A third-person shooter/platformer hybrid that lets players paint the environment in colored ink and turn into squids to quickly traverse it. Along with a solo adventure and local one-on-one multiplayer, the game's main focus is its 4-on-4 online multiplayer battles. 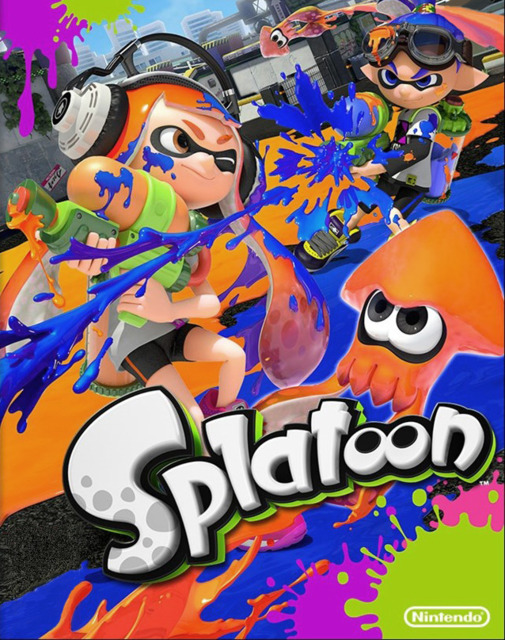 Splatoon is a third-person shooter/platformer hybrid developed by Nintendo EAD and published by Nintendo for the Wii U on May 28, 2015 in Japan and on May 29, 2015 in Europe and North America. Players control "Inklings", sentient squids that can transform into humanoid kid forms and spray colored ink from a variety of weapons at their enemies. Ink is also used to paint the terrain, allowing players in squid form to move rapidly through their own ink color and replenish their ink supply. Along with a single-player campaign centered around puzzle-platforming and a local two-screen multiplayer versus mode, Splatoon's major focus is in its various four-on-four online multiplayer modes; these include the ubiquitous "Turf War", a territorial control mode where two teams of players fight to ink the largest surface area of the entire map. Players are equipped with various ink-dispensing weapons which are used both to cover the environment in their team's color and to attack (or "splat") their enemies. Players can also transform into squids and swim through pools of same-color ink, replenishing their ink supply and allowing them to quickly traverse the map or hide from enemy players, and can even use this form to climb vertical surfaces. When crossing through a pool of opposing-color ink, a player's movement is severely impeded and they will begin to take damage. Additionally, there are some play surfaces that cannot be covered in ink. Multiplayer matches begin with each team on opposite sides of an arena and continue until either time has elapsed or other mode-specific conditions are met. When a player receives a certain amount of damage from enemy ink, they are "splatted" and are temporarily removed from the play area. After a short wait, the player respawns at their team's starting point to resume play. Players can avoid being "splatted" by retreating or eliminating the enemy before receiving too much damage, giving them a chance to regenerate health. New players begin the game at level one and are equipped with a basic Weapon Set, as well as three pieces of Gear. Players can customize their play style by equipping different Weapon Sets and Gear that can be unlocked throughout the game. In addition to the currency required to make purchases, players can earn Battle Points and level up by participating in any multiplayer mode. Leveling up is also required to unlock the new game modes found in Ranked Battles. Most of the equipped items in Splatoon are purchased from the four shops that make up Booyah Base, a mall on the west side of Inkopolis Plaza. Ammo Knights is managed by Sheldon, who offers new Weapon Sets and variants. Headgear such as caps, headbands and glasses are sold at Cooler Heads, a shop owned by the shy Annie and outspoken Moe. Jelonzo sells shirts at Jelly Fresh, and shoes may be bought from Crusty Sean at Shrimp Kicks. Certain sets of unique gear may also be unlocked by completing single-player missions, including the series of special challenges unlocked with Amiibo. The game can be played with or without gyroscopic assistance to aim. When active, the player can tilt the GamePad to augment the right analog stick's vertical aiming capabilities. Inkopolis Plaza, the game's central player hub, can be quickly navigated with a touch menu displayed on the GamePad. During multiplayer matches, the GamePad also serves as a tactical overview, displaying a view of the current map and each team's overall match progress. The GamePad can be used to select fellow team members and "Super Jump" directly to their locations on the map at any time; it can also be used to return to the team's spawn point. Although Splatoon ostensibly requires the Wii U GamePad as its primary controller, it can also be played with an unorthodox combination of a Wii U Pro Controller physically bound to a Wii Remote Plus. However, this configuration only adds motion controls for the player using the television screen in Battle Dojo. At the controller select screen for Battle Dojo, press and hold Down on the D-pad, press and hold B, and then press ZR and ZL. Afterward, press the 2 Button on the Wii Remote Plus to activate it. This method also works with a Wii Classic Controller or Classic Controller Pro. Inkopolis Plaza serves as the game's central hub, allowing players to access any available game modes, shops and various other features such as Miiverse posts and Amiibo support. Splatoon's single-player campaign, Hero Mode, pits the player's Inkling against an army of evil Octarians to recover stolen Zapfish, the main power source of Inkopolis. With the support of Cap'n Cuttlefish, players don the special Hero Suit and venture through five worlds of Octo Valley while solving platforming puzzles, battling purple-ink-spraying Octarians and encountering large bosses. Hidden in each level is a Sunken Scroll, which contain snippets of information about the history of the Inklings and Octarians. Stage 01: Octotrooper Hideout - Catch That Zapfish! Stage 02: Lair of the Octoballs - Splat Your Way to the Top! Stage 03: Rise of the Octocopters - Leap to Victory! Boss 1: Squish, Squash, Smash... The Mighty Octostomp! Stage 04: Gusher Gauntlet - Take to the Skies! Stage 05: Floating Sponge Garden - Soak It Up! Stage 09: Unidentified Flying Object - Trouble over Inkopolis! Boss 2: Shootin' the Sneeze... The Dreaded Octonozzle! Boss 3: Roll with the Punches... The Rampaging Octowhirl! Stage 16: Propeller-Lift Fortress - Spin to Win! Stage 17: Octosniper Ramparts - Inkredible Aim! Stage 18: Spinning Spreaders - Time Waits for No Squid! Boss 4: Inkling is on the Menu... The Ravenous Octomaw! Stage 23: Spongy Observatory - More Ink, Less Shrink! Stage 24: Pinwheel Power Plant - Slip through De-fences! Stage 27: Unavoidable Flying Object - Skatepark Encounter! Boss 5: Let's Finish This! Enter the Octobot King! Seven additional weapons can be unlocked for multiplayer modes by defeating the boss of each world and recovering their Sunken Scroll. Completing the entire campaign also unlocks two sets of gear for use in multiplayer: the Hero Replica Suit and Octosuit. Battle Dojo is a local one-versus-one mode in which players compete via two-screen multiplayer to pop the most balloons in an arena by spraying them with ink. When a player is "splatted", they lose half of their current points. Point values are doubled in the final moments of each match. Splatoon includes two types of online four-on-four battles: Regular Battles and Ranked Battles. Although both types allow players to earn Battle Points and cash, Ranked Battles allow players to establish their rank among the overall standings. Ranked Battles are only accessible after a player reaches level ten. New ranked players start with a 'C-' rating, which can change depending on how they perform in ranked matches. Players can choose to play with random players in Regular or Ranked Battle modes or team up with friends in Private Battle or Squad Battle. The latter lets players form a full team (between two and four) and either compete against another team of known friends or look for a team of strangers. Squad Battle takes place in Ranked Battle modes only. In Private Battle, players can pick from any mode or any map. This is the game's sole Regular Battle mode in which two teams of four players attempt to cover the most territory with their team's ink before the three-minute match timer reaches zero. Splatting enemy players does not directly factor into the overall score, although splatted players leave a substantial radius of their attacker's ink color around them. Players can spray walls with ink in order to scale them in squid form, but inked vertical walls do not count toward the overall territory control percentage, which is based entirely on flat and sloped surface coverage. This is the Ranked Battle mode that launched with the game. In this "King of the Hill"-style match, two teams fight to capture one or two control points called "Splat Zones" by covering them in their team's ink. When one team captures all of the Splat Zones, the capturing team's timer starts counting down. The opposing team can contest the Zone with their own ink coverage, thereby stopping the countdown timer, before attempting to capture the Zone for themselves. If the dominant team loses control of all Splat Zones, a time penalty is added to their countdown timer. The game ends either after a set amount of time has elapsed, with the winner being the team with the lowest remaining time, or when one of the teams' countdown timers reaches zero. 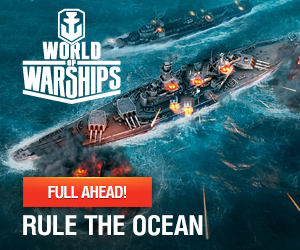 This is the first announced new Ranked Battle mode. Two teams clash in order to control a central Tower by standing on a platform and covering it in their team's ink. Once captured, the Tower begins moving in a predetermined path across the map towards the capturing team's goal. If all of the capturing team's players move away from the platform or get splatted, the Tower will begin moving back towards its default position in the center of the map. This is the second new Ranked Battle mode. Players fight over control of the Rainmaker, an object that must be placed in the enemy base to win. The Rainmaker is very heavy and prevents players from Squid Jumping but they can fire ink tornadoes similar to the Inkzooka to defend themselves while carrying it. The game currently includes seven Stages that can be played in any multiplayer mode. At least one new Stage has been added through post-release updates. Only two maps are available at any given time for online multiplayer modes as part of a predetermined map rotation. Several of these Stages also appear as levels during the single-player campaign. Splatoon Amiibo (top row) and their unlockable rewards (bottom). To coincide with the release of the game, Nintendo released a series of three Amiibo figurines specifically made for the game: an Inkling Girl, Inkling Boy and Inkling Squid. Players can find a giant Amiibo box in Inkopolis Plaza that allows them to scan their figurines. When a compatible Amiibo is activated, they will appear inside the box and provide the player with a series of twenty Hero Mode challenges that focus on alternate weapons and other constraints. Each challenge completed earns different amounts of cash based on its difficulty. Completing all of an Amiibo's challenges grants a special outfit and weapon for use in multiplayer, as well as an additional minigame that can be played while waiting for matchmaking. Players can only begin an Amiibo challenge once they have completed its corresponding stage in Hero Mode. While the Inkling Girl and Inkling Boy amiibos can be obtained separately worldwide, the Inkling Squid amiibo is only sold separately in Japan and Australia. The Inkling Squid is only sold in a three-pack bundle with the Girl and Boy in North America, and in Europe it is only available as part of the game's Special Edition release. Inkling Girl: Complete twenty Hero Mode stages using the Splat Charger. Inkling Boy: Complete twenty Hero Mode stages using the Splat Roller. Inkling Squid: Complete sixteen Hero Mode stages under a time limit; in these, the player can freely switch between Inkling and Kraken forms. Four additional stages must be completed with a limited ink supply; these are indicated below with an asterisk (*). Splatoon features interchangeable Weapon Sets, each containing one Main Weapon, one Sub Weapon and one Special Weapon. Individual weapons may not be swapped between Weapon Sets, although cosmetic variants of certain Main Weapons are available which may be attached to different Sub or Special Weapons. All Main Weapons are divided into three classes: Shooters (equivalent to pistols or submachine guns), Chargers (sniper rifles) and Rollers (melee). Sub Weapons consist of thrown bombs or deployed support items and draw from the same ink supply shared with Main Weapons. Special Weapons do not use ink, but instead require players to earn BP during a match in order to fully charge the Special Weapon gauge, which can then be activated by clicking the right analog stick. Players who are "splatted" lose a certain percentage of their Special Weapon gauge after respawning. New Weapon Sets can be purchased after players meet each Set's level requirements, forcing players to participate in multiplayer battles to level up. Certain Weapon Sets can only be unlocked once the player has recovered a particular set of blueprints, either as a Sunken Scroll received from one of the game's single-player bosses, or through one of the Amiibo Hero Mode challenges. Splattershot Jr. - Splatoon's starter Main Weapon is a Shooter with a high rate of fire and a wide spread, making it a solid choice for new players despite its mediocre range and power. Variant: Custom Splattershot Jr.
N-ZAP '85 - A tribute to the classic NES Zapper light gun featuring a tight spread and high fire rate but middling damage and range. This weapon was added in a post-release update on June 1, 2015. Splash-o-matic - An accurate short-range weapon that fires quickly. This weapon was added in a post-release update on June 13, 2015. L-3 Nozzlenose - A 3-shot burst weapon with fairly long range. This weapon was added in a post-release update on June 16, 2015. Luna Blaster - A specialized shooter that has great close range potential. This weapon was added in a post release update on June 23, 2015. Aerospray MG - A Shooter boasting the fastest rate of fire of any weapon in the game. Its short range and low per-shot damage forces its wielder to close the distance. .96 Gal - An even more powerful version of the .52 Gal also sports slightly better range; however, it has an abysmal rate of fire. Aerospray RG - With the same superior rate of fire as the Aerospray MG, its range and damage are only slightly worse, making it closer to a variant of the original rather than its own unique weapon. Dual Squelcher - While still a long-range Shooter, this update to the Jet Squelcher sacrifices some range and damage for a faster fire rate. Inkbrush - Technically a paintbrush, this nimble Roller can quickly spread or fling ink, but its ground coverage is much narrower than the Splat Roller's. Added in a post-release update on June 6, 2015. Splat Bomb - A basic ink bomb that explodes after a few seconds, coating the immediate area in ink. Burst Bomb - Smaller bombs that explode on contact with any surface, but also consume less ink than Splat Bombs. Disruptor - A disruption grenade that slows the movement of any enemy caught in its blast radius. Suction Bomb - This large sticky bomb will adhere to any surface, including walls and ceilings, before exploding. Sprinkler - Attaches to any surface and sprays ink in a circular pattern for several seconds. Splash Wall - When deployed, this defensive item creates a vertical wall of ink that prevents enemies and their ink projectiles from passing through. Point Sensor - A tactical item that tags any enemies within a certain radius, revealing their positions to all friendly players. Squid Beakon - Supports the entire team by creating a static Super Jump point that friendly players can use for fast travel. Seeker - Robotic bombs that track nearby enemies by crawling along the ground, leaving a trail of ink behind. Ink Mine - Hidden proximity mines that explode when an enemy touches them. Bubbler - Creates a force shield that protects the player from all attacks for several seconds. While active, touching a friendly player will propagate the effect, creating a second shield around the teammate. Bomb Rush - Activates unlimited uses of the player's equipped Sub Weapon for a short period of time. Echolocator - Marks all enemies on the map, exposing their positions for a limited time. The effect is preemptively removed from any splatted enemies. Killer Wail - When activated, the player is equipped with a deployable loudspeaker that creates a wide area-of-effect, splatting any enemies caught in its sonic blast. Inkzooka - Equips the player with a powerful bazooka that fires swirling "ink cyclones" with a substantial range for several seconds. Kraken - Temporarily transforms the player into the invincible Kraken, a giant squid capable of fast movement that leaves its own ink trail and can cross enemy ink effortlessly. The Kraken also instantly splats any enemy that it touches. Inkstrike - Activating this Special Weapon equips the player with a deployable missile launcher. The missile is aimed with the GamePad's tactical map and creates a large area-of-effect ink explosion when fired. Articles of clothing known as Gear can be equipped on a player's head, body and feet, each of which grants a single Ability and at least one empty Ability slot. Players may only begin purchasing new Gear after reaching level four. Each piece of Gear is rated from one to three Stars based on its total number of secondary Ability slots. As players increase their level, better Gear will eventually begin appearing in shops that features additional Ability slots. New randomly-selected Abilities will be added to an item by earning a certain amount of BP while wearing it. However, Abilities that occupy a secondary slot are less effective than they would be as an item's primary Ability. These perks can appear on any type of Gear, either as the item's primary Ability or a randomly-selected additional Ability. Damage Up - Increases all damage dealt by the player's Main, Sub and Special weapons. Defense Up - Decreases all damage dealt by enemies to the player. Ink Saver (Main) - Decreases the ink consumption rate for the player's Main Weapon. Ink Saver (Sub) - Decreases the ink consumption rate for the player's Sub Weapon. Ink Recovery Up - Replenishes the player's ink tank more quickly while swimming in friendly ink. Bomb Range Up - Bomb-type Sub Weapons travel farther when thrown. Special Charge Up - Speeds up the charge rate for Special Weapons. Special Duration Up - Lengthens the duration of most Special Weapons' effects. Run Speed Up - Increases the player's movement speed while in Inkling form. Swim Speed Up - Increases the player's movement speed while in squid form. Quick Respawn - Shortens the player's respawn timer. Special Saver - Allows the player to retain a larger amount of their Special Weapon gauge after being splatted. Quick Super Jump - Decreases the length of time required to Super Jump to another location. Opening Gambit - For the first thirty seconds of a match, the player's movement speed in both squid form and Inkling form is boosted considerably. Last-Ditch Effort - During the final thirty seconds of a match, the player's ink consumption rate for both their Main and Sub Weapons is significantly decreased. Tenacity - While the player's team has fewer active players than the opposing team, this Ability slowly increases the player's Special Weapon gauge automatically. Comeback - Slightly boosts all of the player's stats for a short period after respawning. Haunt - When the player is splatted, this Ability marks the enemy responsible, revealing their position to friendly players for a short time. Ninja Squid - Allows the player to move undetected through pools of friendly ink while in squid form. Cold-Blooded - Shortens the duration of the enemy team's tracking effects when applied to the player, usually from weapons such as the Point Sensor or Echolocator. Recon - Reveals the positions of all enemies while the player is standing on their own spawn point. Bomb Sniffer - Reveals the locations of any hidden enemy traps, such as Ink Mines. Ink Resistance Up - Decreases the amount of damage taken by the player while crossing enemy ink and increases the player's mobility in enemy ink. Stealth Jump - Hides the player's landing area marker from enemies when performing a Super Jump. Most Gear is attached to an associated clothing brand that affects the likelihood of unlocking certain secondary Abilities by earning BP. Most brands have a common Ability which is five times more likely to be unlocked, as well as a rare Ability that is fifty percent less likely than usual to appear. The Amiibo, Cuttlegear and KOG brands do not affect random Ability chances. Following a Splatoon-themed Nintendo Direct on May 7, 2015, an official public pre-release demo called the "Splatoon Global Testfire" was made available for download on the Wii U eShop, which was used to test server loads and online reliability prior to the game's actual launch. Players worldwide were able to participate in a bare-bones version of the game's Turf War mode with four weapon sets and minor customization. Two maps, Saltspray Rig and Walleye Warehouse, were available for play during three one-hour periods (May 8 between 8:00 PM-9:00 PM PDT, May 9 between 4:00 AM-5:00 AM PDT and May 9 between 12:00 PM-1:00 PM PDT). A second round of testing occurred on May 23 between 3:00 PM-4:00 PM PDT. Splatoon was received extremely well both commercially and critically. In Japan especially, the game has become sort of a phenomenon. Upon launch, critics maligned the perceived lack of content due to Nintendo's deliberate steady-but-slowly paced free content update strategy. The game has sold 4.57 million copies worldwide as of September 30, 2016.